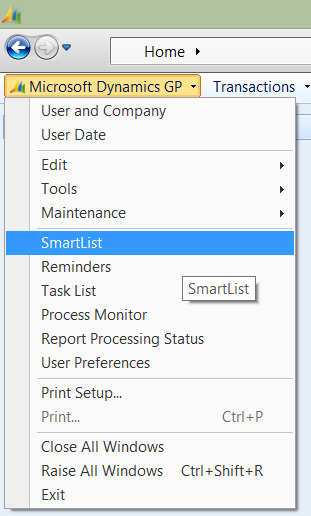 Note: For tips on adding a Shortcut to your Navigation Pane or Toolbar, search for CAL Tips on Navigation. 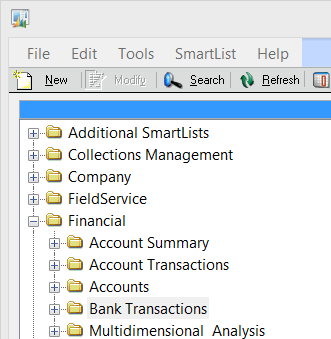 Click on Bank Transactions folder under: Financial>>Bank Transactions. **Note: You can change the Display Name. 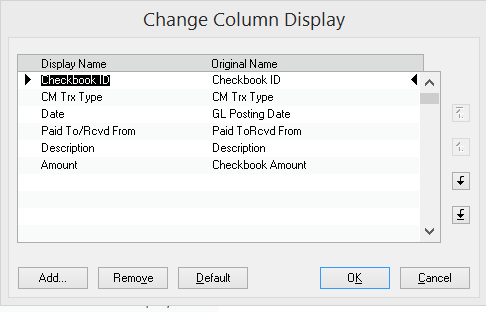 I chose to change “Checkbook Amount” to “Amount” and changed GL Posting Date, and added a “/” to “Paid ToRcvd From”. However, when you are looking for the columns, use the original name above. 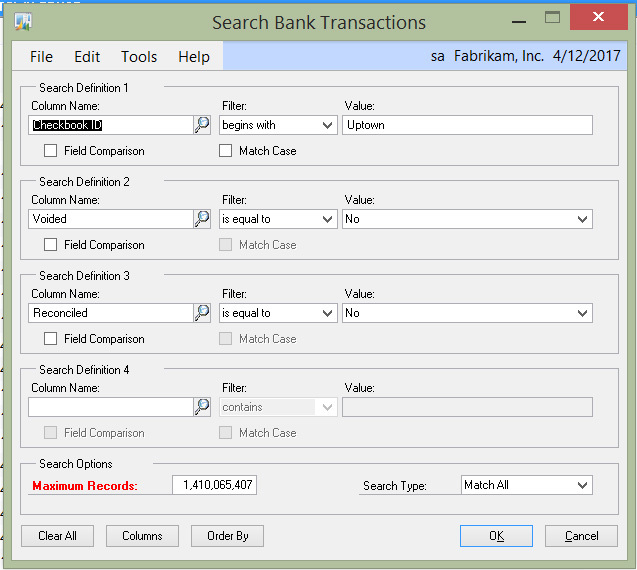 Click Search and add filters to exclude reconciled and voided items. You can also limit to a specific account if you have more than one Checkbook.